Crispy taste with a light mayo peanut sauce. Perfect appetiser to make you better. Fry peanuts first then mix all ingredients and enter into a blender, and cook briefly over low heat while stirring. Heat oil, sauté shrimp and squid, add Knorr Oyster Sauce and Knorr Chicken Powder, stir, cook for 2 minutes, then enter the coriander leaves, remove and drain. 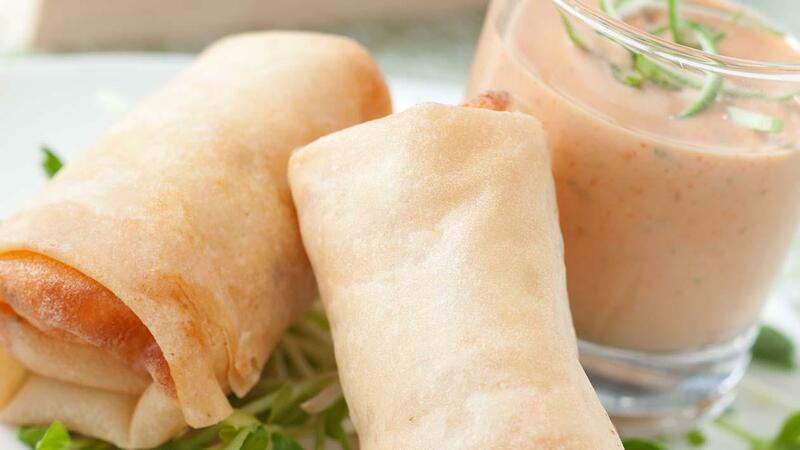 Take a spring roll skin, apply beaten egg on all sides, fill with seafood mixture, then roll. Fried until browned, remove and serve with Peanut Sauce Mayo.